Washington Square Press, 9780743451772, 320pp. "Wonderful page-turning excitement....Like Sue Grafton, Sara Paretsky, and others, Mosley has been reconstructing the hard-boiled tradition from the bottom up....Easy Rawlins moves through mean streets even Marlowe wouldn't walk." 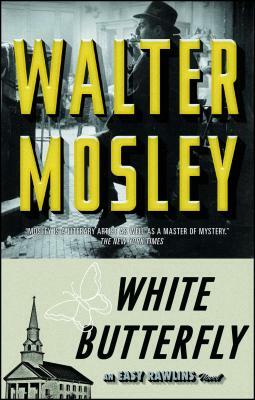 "With White Butterfly, Walter Mosley has established himself as one of America's best mystery writers." "Rawlins...might be the best American character to appear in quite some time."